Our vitalizing Family Happys with onion & chives hark back to a long-established tradition. The fresh onions come directly the vegetable garden and are responsible for the pleasant freshness of these nibbles. Our Family Happys with onion & chives are also rich in nutrients and vitamins, a fact that yet again underpins our unmistakable Vitality Bread philosophy - 100% natural crunching fun. 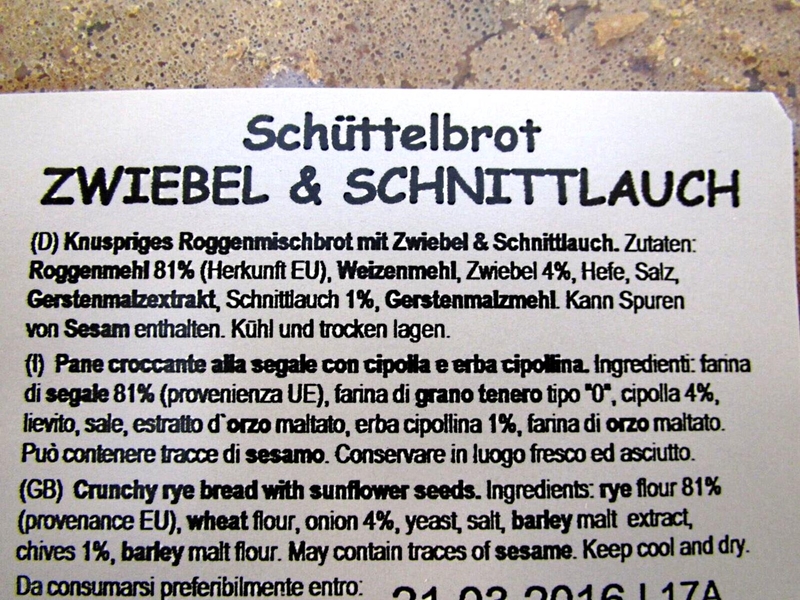 Ingredients: Rye flour 85%, wheat flour, yeast, salt, onion 2%, chives 1%, malt extract, malt flour.